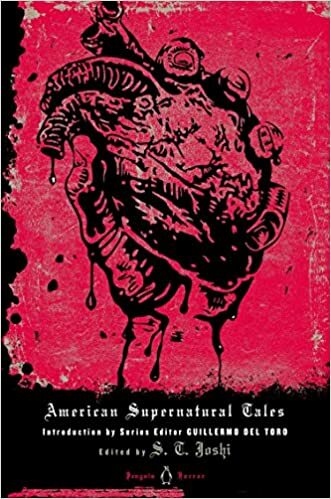 American Supernatural Tales is the ultimate collection of weird and frightening American short fiction. As Stephen King will attest, the popularity of the occult in American literature has only grown since the days of Edgar Allan Poe. The book celebrates the richness of this tradition with chilling contributions from some of the nation's brightest literary lights, including Poe himself, H. P. Lovecraft, Shirley Jackson, Ray Bradbury, Nathaniel Hawthorne, and—of course—Stephen King. This volumes also includes "The Yellow Sign," the most horrific story from The King in Yellow, the classic horror collection by Robert W. Chambers featured on HBO's hit TV series True Detective. By turns phantasmagoric, spectral, and demonic, this is a frighteningly good collection of stories. Filmmaker and longtime horror literature fan Guillermo del Toro serves as the curator for the Penguin Horror series, a new collection of classic tales and poems by masters of the genre. Included here are some of del Toro’s favorites, from Mary Shelley’s Frankenstein and Ray Russell’s short story “Sardonicus,” considered by Stephen King to be “perhaps the finest example of the modern Gothic ever written,” to Shirley Jackson’s The Haunting of Hill House and stories by Ray Bradbury, Joyce Carol Oates, Ted Klein, and Robert E. Howard. Featuring original cover art by Penguin Art Director Paul Buckley, these stunningly creepy deluxe hardcovers will be perfect additions to the shelves of horror, sci-fi, fantasy, and paranormal aficionados everywhere.